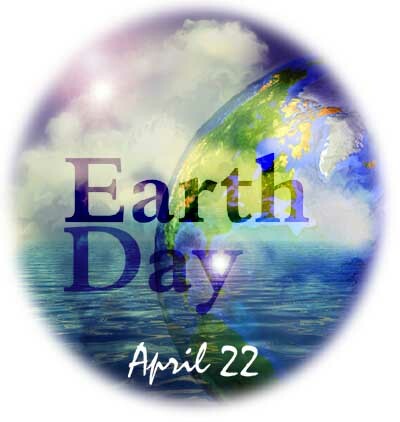 Poems, Quotes and Short Stories - Navneet Singh Chauhan: Earth Day - A Few small steps for a big change. 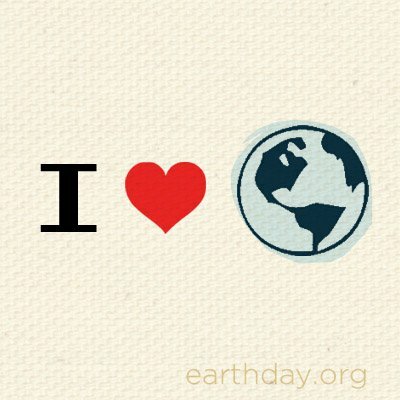 Earth Day - A Few small steps for a big change. Here are few notes which i have made personally or are inspired by some references. 1. Reduce the usage of air conditioning by making an organic roof garden. Water the plants every day, smell the fragrance of flowers, and watch small creatures flying around! That is so beautiful and plus good for earth. 2. Drive an eVehicle like eCar, eBikes. This will both save your pockets and reduce pollution from environment. Also for other vehicles drive your vehicle in Economy range, Stop the fuel engine when waiting for long at traffic signals. This will save fuel up to 20%. It will save your pocket and environment too..! 3. Recycle as much as you can. Take paper bags with you while you go out for shop, or use the same polythene as much as you can. Do not mix up green waste with other wastes at your home. 4. Close the doors of rooms that you don't use to keep heat in the most used rooms of the house, especially rooms near the thermostat. This can save energy and a little bit of money on your heating bill every month. Similarly is the case with room coolers. 5. Use Solar Heaters, specially where sunlight is available in plenty. This will help a lot to keep our earth green. Moreover its Lifetime Value saves some money when compared to lifetime value of Gas and Electric heaters. 06. Unplug - When you're not using that appliance, there's really NO reason to leave it plugged in. It takes about 2 second of time and a tiny bit of energy to take out that plug after making your morning coffee. Same goes for your laptop, phone charger and anything else that is plugged into the wall. For those things that DO stay plugged in all day, like lights and lamps, you can try a power saving power strip. 7. Replace paper communications by email, SMS, Social Networking website like Facebook, phone etc as much as you can also Save paper by printing double-sided. Refill ink cartridges instead of buying new ones. Remove the hard drive from old computers then recycle it. 8. Spend some of the time you would usually be commuting growing fresh herbs / veggies / fruit in your garden...and compost!" 9. Use a hybrid electric source and a laptop with an earth friendly battery! 10. In your home or office, position your desk and seats to optimize for natural light. Not only will it save you from using electricity for lighting and heat, but many scientists believe that natural light offers many positive health benefits as well. 11. Reduce your standby power usage. Many electronics, including TVs, computers, office equipment, video game consoles and home theater systems continue to use electricity when they appear off in standby mode. Utilizing a surge protector with an on/off switch can help you control standby power usage from multiple devices. 12. Optimize your PCs power settings. By setting up a power profile, you'll teach your PC how to conserve its own electricity. I tell my computer to turn off the displays after 2 minutes of idle activity and to sleep after 5 minutes. 13. Recycle your old equipment. Computers and common office equipment oftentimes contains very hazardous chemicals, including mercury, lead, and PCBs and can significantly damage the earth's ecosystem. Be sure to recycle or dispose of your PCs, printers, monitors, batteries, and other equipment safely. 14. A home office can potentially use a lot of paper, so be mindful of your printing habits. Buy paper made with 100 percent post-consumer waste, print only when needed, and of course, print on both sides when possible. 15. Make sure you refill ink cartridges rather than buying new ones, or at the least, dispose of your printer cartridges at local stores that offer cartridge recycling services. 16. Plant A Tree - with the massive number of trees cut down each day to fill consumer and fast food needs, the planet is simply and quickly losing it's #1 source of oxygen. If we, each of us, planted one or two trees this month and began to move towards replacing even small percentage of trees that are being chopped down we can have a chance at making this planet green once more. 17. Commit To ZERO Disposable Coffee Cups - The rough estimates suggest that we use over 23 billion disposable cups per year. That's an awful lot of waste. Even with the new partially recycled and recyclable cups on the market, the problem is that not many of these cups end up in the recycling bin. And, most cups are made from virgin wood. And this is for an item that is used for only a few hours at most. Get yourself one or two stainless steel reusable cups and keep it clean and nearby. Imagine how many cups you can save. 18. Turn Off Water When Not In Use - This means, no need to run the water while brushing those pearly whites. And when doing dishes, consider running a full dishwasher full, or if washing by hand, turn the faucet off when not directly rinsing. And when it comes to gardening this season, try a rain barrel. Some cities offer free barrels, check out your local resources. 19. Find A Local Consignment Store And Become A Regular - Instead of buying new all the time, find a consignment store in nearby neighborhood. You can even check for a local Goodwill store which is, as of late, focusing on attracting brand names onto their racks. Go through your closet and fill a bag with stuff you haven't worn in years and don't LOVE. Trade it all in for things that you will LOVE and wear. 20. Start Your Own Earth Day Family Tradition - Earth Day is another great opportunity to create a friends & family tradition. A great suggestion is to clean up your neighborhood. Organize a group of neighbors to meet on Earth Day and walk through your neighborhood with biodegradable trash bags and clean up an stray cans, bottles and any other trash you find. What a great way to bond while cleaning Mama Earth. 21. Turn It Off Already! This is one that your parents have been yelling at you since you were a kid. But this is one that can create a lasting change in your home and on the planet. If we ALL flipped the switch every time just think of the savings in money and electricity. It only takes 30 days to create a habit, so start today, and in a month from now, just think...you'll be saving all kinds of things. 22. Try The First "R" in Reduce, Reuse, Recycle - This is by far the best way to affect change in the world. The less stuff we use, the less stuff will be made and the more resources will be saved. Think this won't work? Just imagine if you didn't automatically purchase the next new gadget or the next must have pair of shoes. Now imagine if a few of your friends did the same. We are pack animals and we do influence each-other more than we know. This doesn't mean NEVER buy anything again EVER!! Just choose to pass on a few of those impulsive shiny things. 23. Do Nothing - That's right. Take some time to appreciate the moment, look around and revel in doing simply nothing. Let's live like the Italians do and enjoy, really enjoy just doing nothing, even if it's for an hour. 24. Buy Nothing - Take a day and choose to keep your wallet closed all day. This is completely opposite from anything the capitalist mindset is telling us. But take a day and choose to eat at home, or bring lunch with you. Choose to step slowly away from the register and just enjoy all the stuff that is already in your life. 25. Volunteer - There are so many amazing organizations around the country and the world who make it their one and only mission to help the environment and it's people. If you're stuck for ideas on how to help, check a local directory for causes that touch your heart. Whether it's a beach clean up or an animal rescue organization, helping others the best way to fill your heart and be proactive. Check out a site like http://www.volunteermatch.org/to find your ideal volunteer opportunity. 26. Bag It! We all know that plastic and the environment have become a deadly match. Plastic was once considered a huge technological advancement for storage, building and many many other industrial and home uses. In some ways it really was an amazing development. Today, as with most things, we've taken it to the next level of use and mis-use. Plastic bags are a great example of something that gets used once or twice, is discarded and ends up floating in oceans and killing our oceans' eco-system. Can you commit to NO PLASTIC and instead figuring out a system to bring a reusable bag every time? 27. Play Together - Instead of vegging out in in front of a movie at night with your family, try getting a game going. Whether it's a board game or an impromptu game of charades playing together will remind you of the most important things in life. And it fun!! 28. Potluck It - A great way to honor Earth Day every day is to build a community that takes care of it. Reach out to your friends and neighbors and start a monthly potluck where you all come together to brainstorm sustainability efforts for your neighborhood. Whether you end up creating a carpool or a garden, your bound to create friendships and move in the right direction. 29. Go Green For Your Mutt - Don't forget your four legged friends when it comes to choosing non-toxic products and organic food. Dogs and cats are just as sensitive and prone to disease as we are. And make sure to skip the pesticides for your grass and garden as your pets love to romp in the grass. Do you have some more ways ?? please feel free to comment. Will like to hear from you. Did you know you can create short links with BCVC and get cash for every click on your shortened links.